Cancellations – If you have placed an order and cancel it prior to equipment being shipped, MIL-SAT will refund your purchase price less a 25% processing and restocking fee in the same method which payment was made unless otherwise indicated. (i.e. credit card, or company check for all other payment methods.) All cancellations must be via email to don@MIL-SAT.com or fax (561)-658-7969. Be sure to include order confirmation number. Call and obtain a pre-approval and authorization for your return. No returns will be accepted without prior approval from MIL-SAT. The original box must be neatly taped with clear tape (no colored tape is accepted) and all manufacturer documentation must be included (specification sheets, installation guides and warranty information). The equipment must be in like new condition meaning the original boxes must be in the same condition as when received and the equipment must not have been installed. MIL-SAT will accept returns of equipment for a period of 30 days after the original purchase date. Returns requested after the 30-day period will be at the discretion of MIL-SAT. This policy covers both systems and/or supplies. Return insured freight is the responsibility of the buyer. MIL-SAT will impose a restocking fee of 25% plus all associated insured freight costs to return materials to our warehouse. Refunds will be credited in the same manner in which payment was received (i.e. credit or debit card, or company check for all other payment methods). Please allow 2 – 3 weeks for refund from the time MIL-SAT receives your parts return. You will be required to sign the Refund/Return Policy Statement prior to receiving any credit. MIL-SAT Order Fulfillment – Incorrect items or short shipped items listed on the signed invoice must be reported to MIL-SAT within 4 business days of the receipt of the shipment. Shortages that are not noted on the signed delivery receipt will not be accepted by MIL-SAT. In the event that the error was on MIL-SAT’s part, MIL-SAT will be responsible for return and replacement shipping costs. Shipping Claims and Policy – Refunds/Replacement – Please read our Shipping Policy Carefully. Claims resulting from shipping damage will be the responsibility of the customer to resolve with the carrier. Quotes do not include shipping cost unless otherwise indicated in quote. Shipping will be billed at cost no mater the origination or destination as FOB Origin, Freight Prepaid & Add. Requests for Certificate of Origin, Consular Declarations, and Customs Invoice can be provided on request at no cost. Customer is responsible for all duties, tariffs, customs fees, and all other processing, handling, transport, warehousing and or imposed judgements and or claims against goods in transit. Unpaid fees will be billed at cost unless otherwise indicated. Liability – MIL-SAT cannot be held liable for damages, consequential or inconsequential, resulting from the installation of parts or operation of equipment. Parts & equipment sold by MIL-SAT IS NOT intended to be installed by anyone without the proper expertise, background, and certification. While we acknowledge and applaud do-it-yourselfers, you accept all risk for both installation and parts selection. We strongly encourage an on-site inspection by a certified professional. Unless otherwise noted, our advice on parts selection or equipment is the result of information provided by you and is limited in that we don’t have full knowledge of the details and scope of your particular needs. We will do our best, given the limited circumstances under which our advice is administered, to provide you with accurate and up to date information. 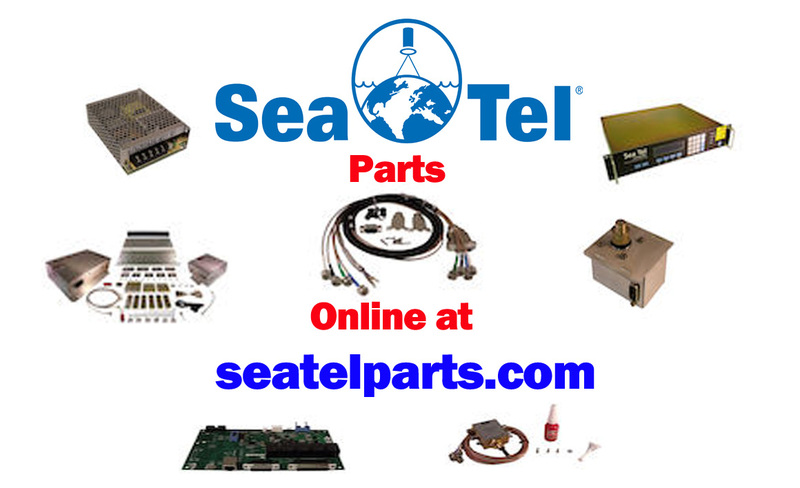 Warranties – All SeaTel brand parts are sold with manufacturers limited warranty of 90 days, unless otherwise stated. All other brands are dependent on manufacturers warranty terms and will be honored by MIL-SAT. In the event a warranty repair is needed, MIL-SAT will provide the replacement part free of charge, plus shipping and handling charges. You will be responsible for any labor charges incurred in the replacement of a warranty item unless otherwise indicated. The previously stated factory parts warranty does not apply to new systems which vary depending on system. All new systems carry a one or two year warranty as defined by SeaTel. Other brands may vary, contact MIL-SAT for brand specific warranty info. Warranty extensions may be available. It is the responsibility of customer to be aware of the equipment or system warranty status at the time of repair parts order. Parts Selection – MIL-SAT does not guarantee or accept responsibility for the selection you have made for your specific system. Any suggestions that may be provided by MIL-SAT concerning system repair or selection are subject to an on site inspection by a knowledgeable professional to confirm suitability and fitness for your particular project. MIL-SAT can provide a factory certified technician to visit your site and perform repairs if you desire. Call 757-294-9393 for service availability. Quotes – Quotes for parts, equipment and services are valid for 30 days, unless otherwise noted in quote. Quotes do not include shipping cost unless otherwise indicated in quote. Shipping will be billed at cost no mater the origination or destination and will be shipped FOB Origin, Freight Prepaid & Add, where MIL-SAT pays and invoices buyer for freight charges. All customers must have an acknowledgement of agreement with policies posted herein on file with MIL-SAT to purchase parts. Quotes may not include taxes, but does not relieve the customer of tax liability or MIL-SAT responsibility to collect taxes on purchases. I have read and understand the above policies and agree to abide by the terms indicated above. Print this document and FAX (or email maryann@mil-sat.com) signed and dated to +1 561-658-7969, attention Mary Ann Richardson.